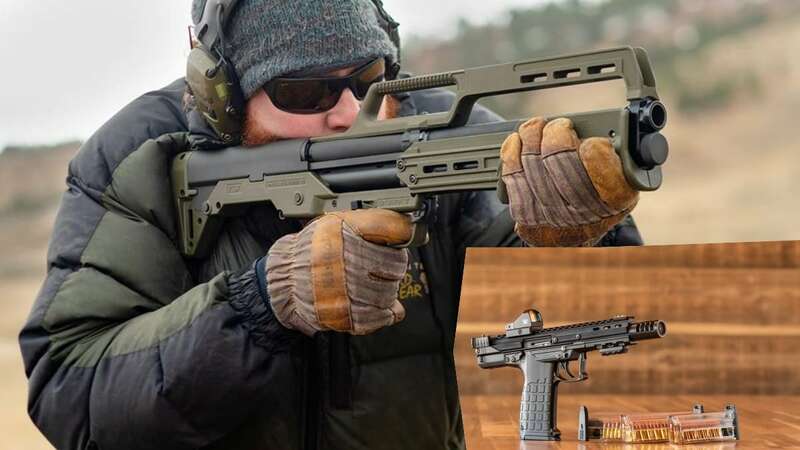 A more cost-friendly alternative to the KSG shotgun and a new competition .22LR bullseye pistol are on tap for Florida-based Kel-Tec. While the new guns aren’t on Kel-Tec’s website yet, firearms photographer Oleg Volk, who has a long relationship with the company, had the details in an article at All Outdoor over the weekend while KT’s Chad Enos spoke to the Talking Lead podcast about the offerings, which will be on hand at SHOT Show later this month. At 26.1-inches long overall, Enos described the KS7 12 gauge pump as sort of a slim-downed KSG positioned to being akin to a bullpup Mossberg 500 as it will be significantly less than Kel-Tec’s legacy shotgun. While the KSG uses twin magazine tubes, the KSG, with a single tube, will hold 7+1 shells and is reportedly much lighter. Kel-Tec has teased the new scattergun on social media over the weekend. The CP33 pistol comes M-Lok equipped and is both suppressor-friendly and comes with quad-stacked flush-fit 33-round magazines. The 5.5-inch bull barrel is standard.